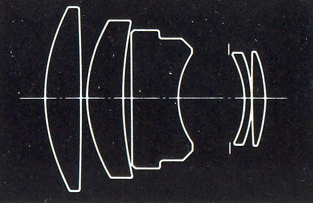 500/5.6 lenses, Pentacon MC (left) and Zeiss Tele-Tessar (right). 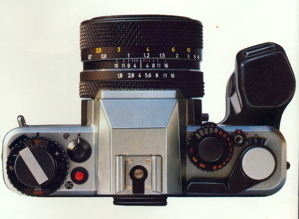 Contax Aria at bottom for size comparison. I have with me a massive Pentacon 500/5.6 MC tele-lens for many years. I use it mainly for photographing birds. This lens is not easy to use for many reasons. It is very heavy at a weight of almost 4kg with filter and hood. 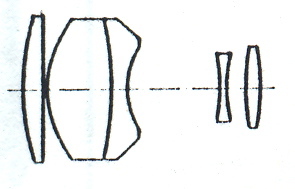 The focusing mechanism is the conventional moving of the whole lens/element group, and therefore the force needed to turn the focusing ring is high, thus making fine focusing adjustment very difficult. 6TL-M42 adaptor, Pentacon M42 lens mount, Pentacon 6TL lens mount, lens cap. Picture quality wise I find the lens performs well, especially considering its low price. The Pentacon 500/5.6 is actually corrected for 6x6 medium format. I only use it for 35mm bodies with adaptor. The pictures do have the medium format kind of smoothness. To me this lens has quality comparable to the Carl Zeiss Jena 180/2.8 and the 300/2.8 Sonnars for the Pentacon 6TL cameras. A little heron was watching a seasnake besides a telescope creeper shell. Kodak EGP400, Rolleiflex 3003, 500/5.6 Pentacon, Manfrotto 055C/168. My copy of the Pentacon 500/5.6 has gone through lots of bashing. It even dropped from a tripod once, with the original hood damaged. So the photo shown in this article is the lens with a B+W 118mm UV coated filter (costs as much as the lens itself, specially ordered) and a Heliopan metal hood (also specially ordered from Heliopan). Left: Pentacon lens with rear M42 lens mount and a M42-C/Y adaptor. Right: Rear mount dismantled, with M42 mount and 6TL mount. Left to right: Lens, lens cap, SL66-M42 helicoil adaptor, C/Y macro tubes, lens hood. The Tele-Tessar is still a massive lens, but compared to the Pentacon it weights only about 2kg. That makes it much easier to handle than the 4kg Pentacon. The lens is also focus by moving the complete optical group but now the focusing is like using a bellow at the rear of the lens. Due to the much lower weight (in this case the camera body) focusing is much easier and especially for fine focusing adjustment. 500/5.6 Tele-Tessar on a SL66E body. Strange thing I observed using the Tele-Tessar is that it cannot focus at infinity with a filter in front, although a filter thread of 95mm is provided. With a UV filter fitted, I can sea clearly some deterioration of image quality when focus properly not at infinity objects. So for me this lens will have to be used without a filter. 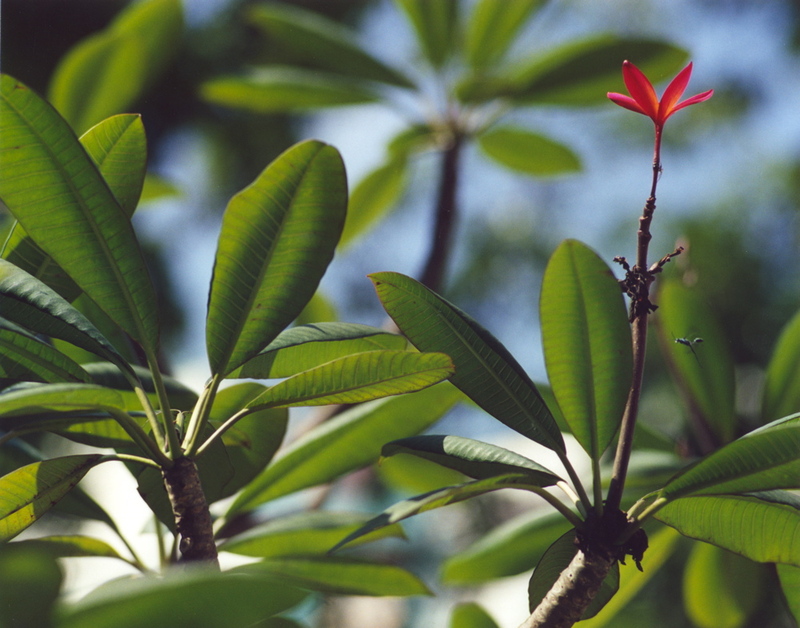 f8 1/500, 500/5.6 Tele-Tessar HFT. RTS III, UC400, Manfrotto 190B/488RC2. 20 May 2008. Both lenses has a focusing travel of about 50mm, which allows both to shoot as close as 6m. The Pentacon can only stop down to f22 whereas the Tele-Tessar can stop down all the way to f45. 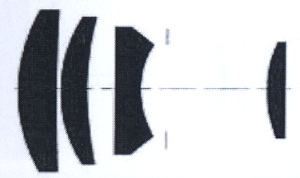 The Pentacon has a narrower angle coverage. Both of them work on pre-selected aperture diaphragm. The Pentacon has a tripod bush that allows rotation for landscape and portrait shooting position. The Tele-Tessar, however does not have provision for lens rotation as SL66 is a square format body. There are many who are crazy about photography as well as audiophile hifi systems. I am one of them. Photography probably is more physically demanding as the photographer needs to move around to get his subject matters. Hifi, however, other than the need of strength for the placement of giant speakers, most of the time the audiophile just sits down and relax for the music. But in terms of money spending, both audio and photography are equally damaging to the wallets. Well, there are many ways photographers and audiophiles can go about with their hobbies. Some just like to get the most expensive equipment money can buy. Some make do with a basic system. Many will examine the photos or the music in micro details. But I always remember what one of my friends, who is the editor of a Chinese audiophile magazine, ever said: the greatest audiophile is one who is able to fully exploit the capability of a given audio system within a budget, rather than one who just buy the most expensive systems but are not able to get them work as a system to their full potential. However, sometimes it is not just technical perfection. 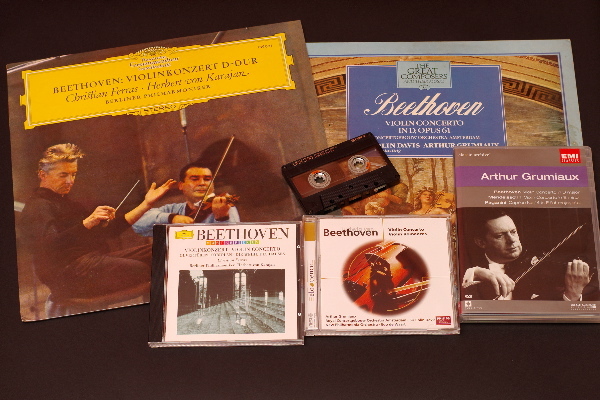 We all know that classical music lovers still would appreciate the mono recordings of legendary performances. Also there are faded black and white photographs that are still being appreciated by people. Photography in the past few years (since late 1990s) has experienced a digital revolution, just like the one by compact disc many years ago. I am into photography first, and hifi later. So the effect of the digital revolution has been different for me on photography and music. However, the never ever ending debate between the superiority of analogue against digital is somehow the same for both photography and hifi. It could be pointless to debate the superiority of digital and analogue. They are quite different media and one is not able to completely defeat the other. CD is a very good living example. After decades, CD technology has been perfected and improved over the years, but LP records still have their strong and loyal supporters. In fact in recent years (early 2000s) I notice a strong come back of records, both hardware like record players and software like the records. Even the unreliable cassette tapes today still have their market share in low cost music market and voice recording application. I went through a very different path for photography, since probably 1986. I have been using equipment of German origin since day one. Basically lenses from Zeiss, or from Carl Zeiss Jena which is also of German origin. Untill recently I have been using equipment from Contax and Zeiss Ikon, though many of them are made in Japan, but the lens designs are still from Germany. Again I am not keen in doing equipment comparison. I just like to take photographs. The digital revolution for photography does give me quite some headaches. Firstly, I have hard time getting the professional films I want. So far I need to buy from overseas (mainly US) or to get a friend to buy for me when he is travelling in Japan. Next is optical developing machines are being phased out. I used to go to one shop near my house for the traditional optical machine developing. However the machine finally reached the end of its useful live and since then I have to go to the new generation digital machine for printing. I believe my situation with film now is very similar to the situation of the LP lovers many years ago. Since I am still with film now as I feel that it is superior in quality, so are the LP lovers who never give up their LPs. In the photography circle there are always heated arguments on the survival of films. If you take a look at the LPs, even today there are still manufacturers making very expensive players, and it seems more and more music company are releasing new albums in LP, I am quite sure that film will probably last longer than me! Super wide angle lenses are quite fun to use. Mostly I used them for scenery and architectural shots. Occasionally I used them for protrait. They are best used for depicting scenery with plenty of details, emphasizing of foreground and for creating dramatic shot of building and architecture. They are the lenses to use for tight interior documentation. My first experience with a super wide angle lens was the Prakticar PB mount multi-coated 20/2.8 Flektogon. A very good value for money lens. 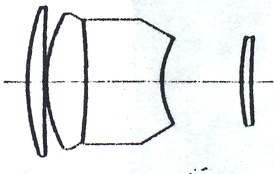 The lens design is typical German, with very big front element. 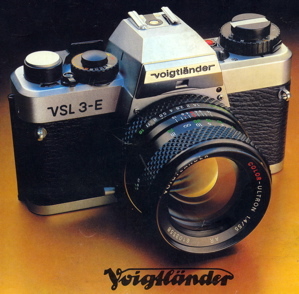 There is a M42 version. 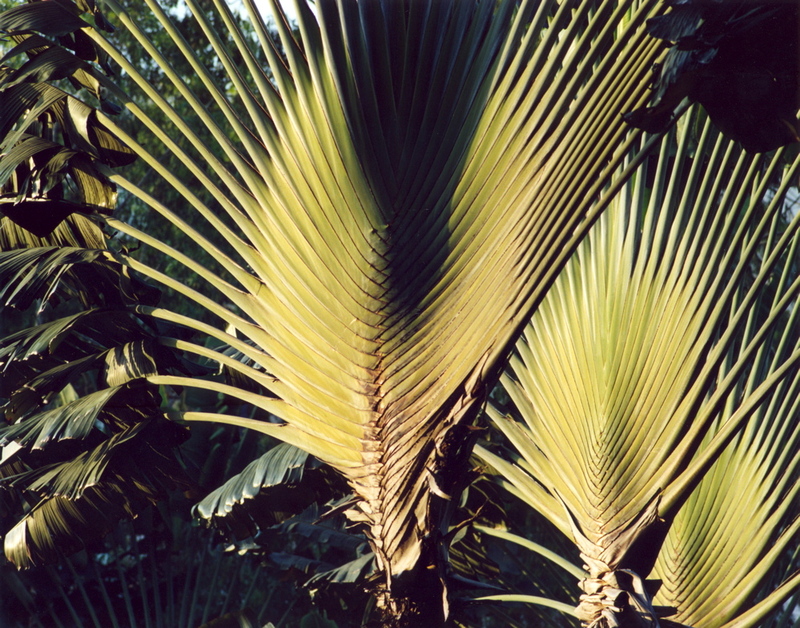 Their external appearances are very much like the Zeiss 18/4 Distagon. Iowa USA. Taken with Praktica BX20s, Carl Zeiss Jena MC 20/2.8, Ektapress 100. The Flektogon has very good distortion control. The weakness is the corners where there are some lack of sharpness at large aperture setting. When adequately stopped down to f5.6 this lens gives very good results. The Zeiss 18/4 Distagon if of course very good in performance. 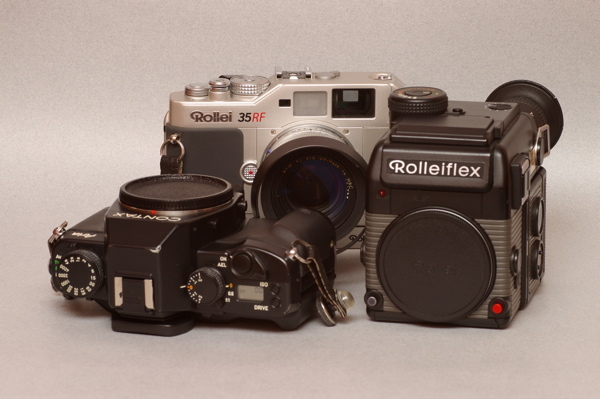 I have both the Rolleiflex QBM HFT version and the Contax T* version. While I always find the HFT multi-coating much nicer than the T*, for the 18/4 when put side by side the glass elements look very much the same for the HFT version and the T* version. Medan Deli-River, Indonesia. Taken by Rolleiflex SL2000F, 18/4 HFT Distagon at f8 1/125. Kodak Ektapress 100. Old Forge at Adirondack USA national park. Taken with Rolleiflex SL2000F, Kodak VC160, 18/4 HFT Distagon at f8 1/125. The light falls off of the 18/4 is quite apparent. Distortion control is good but need to be careful for certain shots because of the S-shape distortion curve. Very good contrast and sharpness right to the corners even at f4. Lens shade is a problem as the lens does not has filter threads and a special 70mm slip on adaptor for 86mm filter need to be purchased for use with this lens. So you can either put on a 86mm filter or use the adaptor as a lens shade. For me I do not like the idea of exposing the front element of the lens so I have a 86mm slim UV filter put on. Note that even with the dedicated 70mm slip on adaptor you cannot use normal filter as it will vignett. World Trade Centre Twin Towers, New York USA, taken with Rolleiflex SL2000F, 18/4 HFT Distagon at f8, 1/250. My latest addition to the super wide angle lenses is the newly designed Zeiss 21/2.8 ZM lens for my Leica M mount Rollei 35RF range finder. For the first time I have f2.8 available to me but using external finder is not a easy task for a long time SLR user like me. 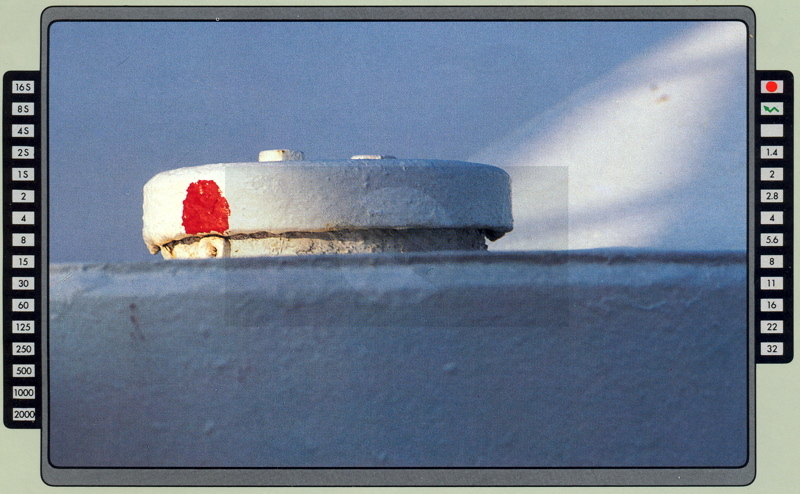 The problems for using 21mm on range finder are when taking picture with people or taking subjects at close distance. Rainy day, taken with Rollei 35RF, 21/2.8 Biogon ZM, hand held at f2.8. 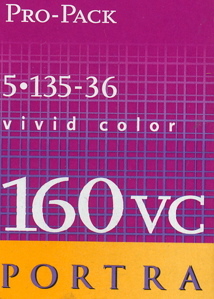 Kodak VC160. In the age of digital photography, I am very ‘dinosaur’ indeed. I am still very much a film man. I do own a Pentax DL DSLR at the moment for taking equipment shots for this website. I use mainly colour negatives. I like very much viewing my favourite photos on the 8R matt prints. 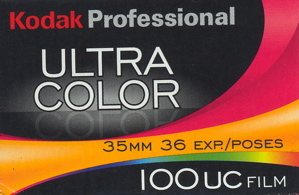 I use Kodak professional films. Really miss those days of Ektar 25, 125 and 1000. 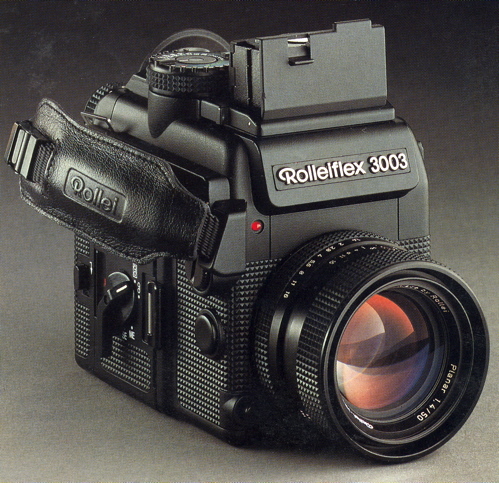 Later the Royal 100 was available, followed by Ektapress 100. Kodak likes to discontinue old film models and came out with new ones and recent years I have been using Protar VC160. Not very please with the grains at 8R, I switch to Ultra100 and is very please with this film. The only problem is Ultra 100 is not available locally in Singapore and I have to get it from Japan whenever I have friends going there for a trip. It is sad that more and more photo developing outlets are developing film the digital way. I was still able to get my exposed films developed in the traditional manner with optical machine which in my opinion will yield most ‘film-like’ effect. Unfortunately this shop was closed in 2008. Hope that in the years to come there will be still films available. If after so many decades the music LPs are still available, I do not see a reason why film should go extinct. As for camera system, I very much prefer manual focus and manually controlled exposures. For many years I use the SLR system, and as far as body is concerned the Contaxes are the most satisfactory so far for manual focusing. I replace the focusing screen to the fully matt type and I can focus and compose at the same time without having to shift focus. Also the Contax screen can be used comfortably for focusing everywhere within the screen, even at corners, which I am having some problems with the Rolleiflex bodies. For most of the situation manual exposure works well for me. Normally I select the shuttle speed first, and then I select my preferred exposure by altering the aperture settings. What I like about traditional SLRs with LEDs is: firstly, you can see the aperture setting in the viewfinder, normally situated at below centre of the viewfinder. Next the selected shuttle speed LED is blinking, and the correct shuttle speed based on build in TTL meter is indicated with its corresponding LED. With this arrangement I can immediately see whether I am over-exposing or under-exposing based on camera meter. Therefore correct exposure override can be decided very quickly based on different situation. The modern camera unfortunately is not design to my taste anymore. Firstly push button and switch replace the shuttle speed dial. Next the range of shuttle speeds are no more display with series of LEDs. 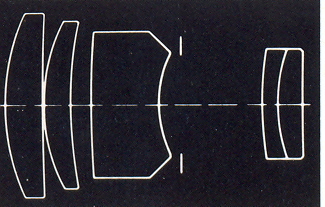 Instead all the photographic information are displayed in a LCD at below centre of the viewfinder. Over and under exposure is now indicated by bars in +1, +2 or –1, -2 kind of format. I find that if you do manual exposure most of the time the traditional layout is much faster but that could be a matter of me getting used to the modern LCD buttons type of layout. At present, I shoot mainly with Contax Aria and RTS III, and also on rangefinder Voigtlander R4M. I started using East German SLR system of which the common focal length available in the tele range are the 80mm and the 135mm. I did not do much portrait photography and therefore 80mm or 85mm are focal lengths that I used least. I prefer 135mm, for its ability to close in, the narrow depth of field and the flattening effect. USA Traverse City, Ektar 125, Prakticar Pentacon 135/2.8, f 2.8 1/250. A nice and cold sunset. I used frequently my Prakticar 135/2.8 multi-coated Pentacon, only to realise very much later that the 135/3.5 Carl Zeiss Jena Sonnar was actually able to create quite beautiful pictures. I guess since I use low speed ASA 100 films most of the time, I will very much prefer the additional half a stop of the 135/2.8 for hand held photography. An additional plus point for the slower 135/3.5 is that it can close focus to 1m, so acts as a semi-macro tele lens. Taken at USA Iowa City, Praktica BX20s with Prakticar 135/3.5 CZJ and Kodak EGP400. I like the sweetness of the colour under the low lighting condition and the kid's expression. Coincidentally the lens that made me switches from Praktica PB body to Rolleiflex QBM was also a 135 lens, the very beautiful red coating 135/2.8 HFT Sonnar. I used it to photograph a cat and the 8R enlargement really won my heart over to the very expensive West Germany Zeiss. Rolleiflex 3003, taken with 135/2.8 HFT Sonnar at f2.8 and 1/125, Ektar 100 film. The colour saturation and the smoothness won me over from Praktica to the Rolleiflex Zeiss system. 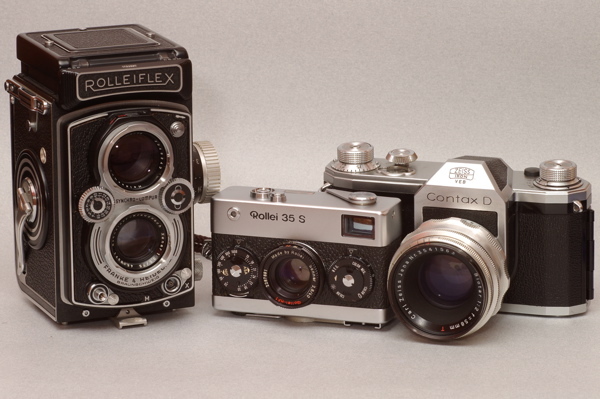 Rolleiflex SLR lens programme offered 2 Zeiss made lenses of focal length 135mm. One was the 135/2.8 Sonnar, and the other was the 135/4 Tele-Tessar. The Tele-Tessar was reputed to be sharper, but again I had been using the f2.8 Sonnar almost all the time and did not do any serious comparison of the two. Old City Hall clock tower against an modern building at Toronto. Taken with 135/2.8 HFT Sonnar at f5.6 1/500. When switching to the Contax system, I have the 135/2.8 T* Sonnar and the 135/2 T* Planar. The Contax 135/2.8 is well built with 5 elements in 4 groups, different from the Rolleiflex 4 elements in 4 groups. The 135/2 is a huge made in Germany lens without build-in hood and with a very big 72mm filter thread. 135mm used to be one of the lenses that I will carry along whenever I go overseas for travel. With the addition of the very well made 100/2.8 Makro-Planar for Contax, it may well replace the 60/2.8 Makro-Planar and the 135/2.8 Sonnar if I decide to bring along a 180/2.8 Sonnar. If however I am not going to bring along the 180mm, it will most likely be the 135/2.8 again with Mutar III.